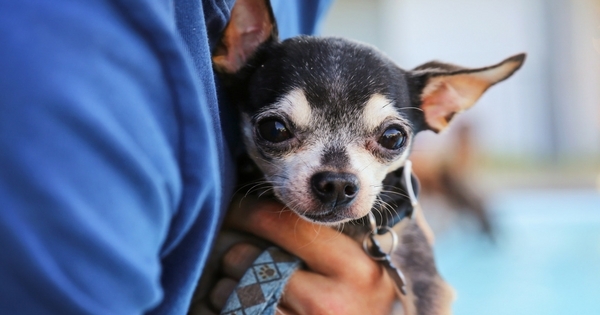 You might have an emergency plan for your family, but does it include your pets? Emergencies and natural disasters hit us out of the blue and require a quick reaction and sound judgment. Use these tips to create an action plan that keeps your pets safe when the unexpected happens. Depending on the type of disaster, your pets may be scared. The behavior of a frightened pet depends on their temperament. Comfort your pets and do your best to calm them. In addition, be prepared to hold them in a way that minimizes their chances of injuring themselves or you. Pack a “bug out bag” for your pet just like you pack for your family. Some items to include are a portable cat litter box and litter, enough food for a few days, toys and treats, vaccine and health records, extra collars, leashes and harnesses, blankets and other comfort items, water bottles and medication. Some pet carriers have pockets for many of these items. Attach a small bag to the carrier to have everything in one place when you need to leave quickly. All of your pet disaster supplies should be kept in an easily accessible location. Trying to locate carriers when you’re rushing to evacuate adds more stress to an already stressful situation. The ideal location for your emergency supplies is one that has several ways it can be accessed. That way, you won’t get cut off from your emergency supplies if one of your paths is blocked by water, snow, fire, rubble or other obstacles. There’s no way to guarantee that your pets will remain calm and compliant in an unexpected situation. They may hide or bolt out the door. Therefore, if you need to get away from your home without your pet, microchipping will help reconnect with them. Microchipping is a quick, easy, and relatively inexpensive procedure at the vet. The chip contains information about the pet, their address, the owner’s contact details and other vital data. Your pets may need to stay with friends, family or at a kennel. Write down the care instructions, including medication dosage and frequency, if someone else needs to care for your pet during a disaster. You already have enough to worry about in a disaster. Make sure your furry friends are protected with the right emergency preparedness. Learn the basics of emergency first aid for your pet. I wrote a blog post all about this, Emergency First Aid for your Pet. Feel free to call my office with any questions you have about your pet and their health.